There’s no reason to order take-out or hit the food truck line with your coworkers when there are so many delicious make-ahead lunches that can be prepped at home, some in a matter of minutes. 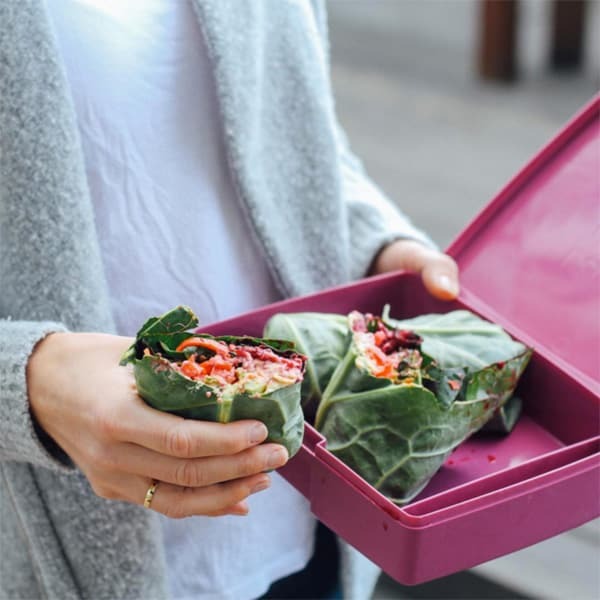 Not only will brown bagging your lunch help you save a ton of money and stay on track with your nutrition goals, the energizing nutrition from healthy ingredients will help you avoid falling into a food coma at your desk. Here are 10 great ideas we found to inspire you. 1. We’re suckers for salad jars. 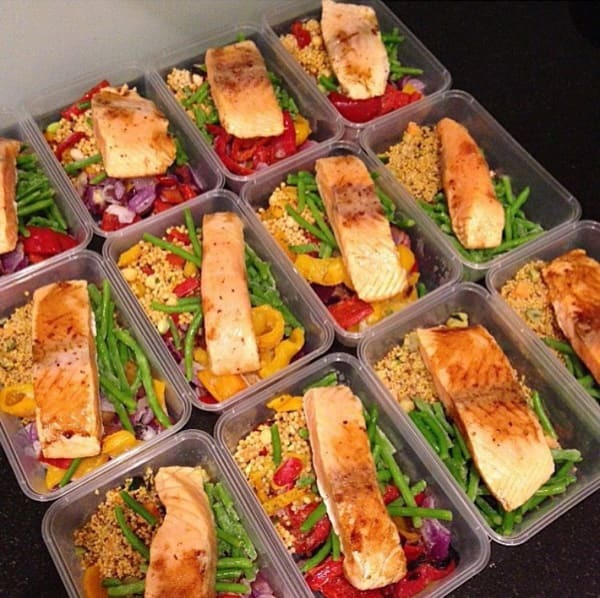 They are ideal for meal prep, and the options for filling them are unlimited. 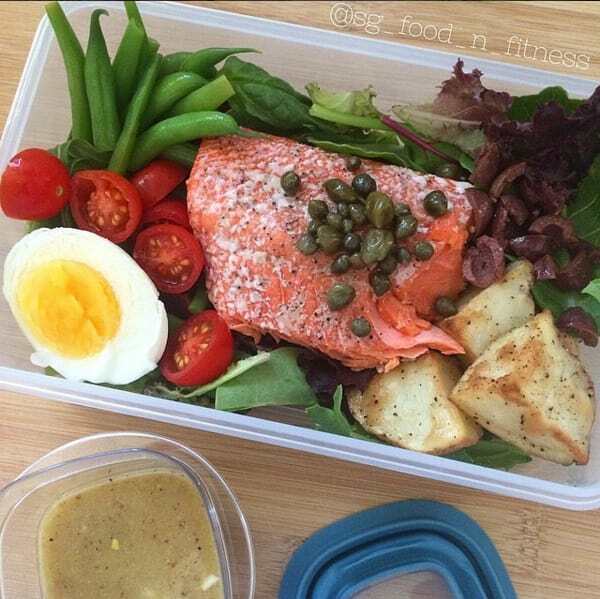 Place heavier items and dressing at the bottom of the jar and greens at the top. 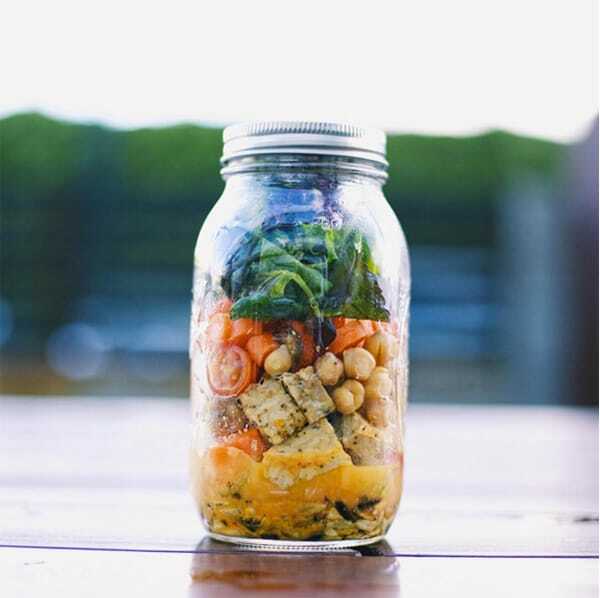 This tasty vegan combination from @begoochie has, from bottom to top: toasted sunflower seeds, carrot ginger dressing, baby bell peppers, tempeh, chickpeas, tomatoes, carrots, and mixed greens. She calculated the Portion Fix containers to be 1 red, 1 yellow, 1 orange, 2 teaspoons, and 2 greens. 2. We like meatballs for meal prep because one kitchen session can make enough for a week or two of meals. And, it’s easy to change up the protein, herbs, or sauce in the recipe to keep your menus exciting. Serve them with salad, in soup, in tacos, on zucchini noodles or spaghetti squash, or with roasted veggies like the combination of Brussels sprouts and butternut squash pictured below. 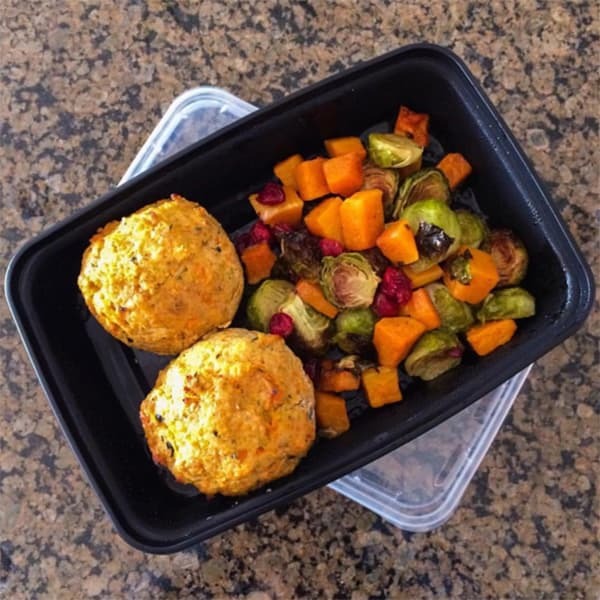 These turkey meatballs from @amandaplz88 have a secret ingredient that adds tons of fiber and nutrition. She uses wheat germ instead of bread crumbs to bind everything together. Get her recipe. 3. 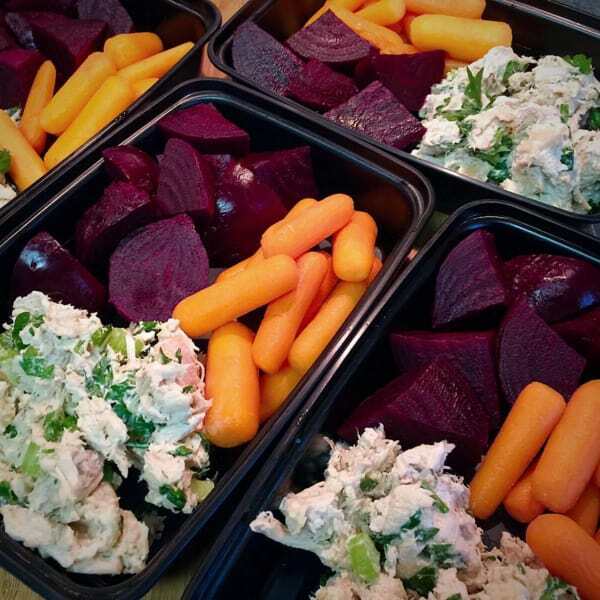 @brookeellington‘s chicken salad is flavored with lots of fresh herbs, onion, and celery. It’s a great way to use extra rotisserie chicken. Go wild with extra veggies like chopped carrot, bell pepper, or fennel and mix in a tablespoon or two of low-fat plain Greek yogurt instead of mayonnaise. Serve with your favorite veggies, like carrot sticks and boiled beets, or scoop the salad into lettuce cups or endive leaves. 4. 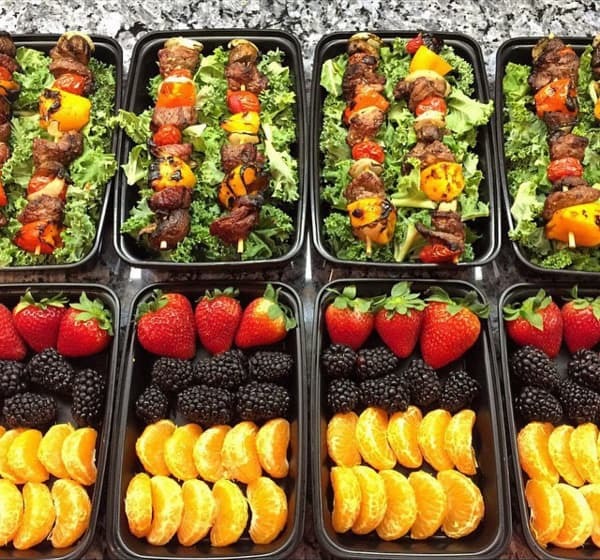 @danalejandro says it took him just 15 minutes to prepare this impressive meal prep. That makes it a winning recipe we want to try. While quinoa cooks, and salmon bakes, sauté green beans, bell peppers, and red onion. When the quinoa is done, stir in garbanzo beans and chopped fresh herbs. Don’t want to be that person at work who heats fish in the microwave and makes the whole office smell like bait? This meal can be mixed together and eaten cold as a grain salad. 5. 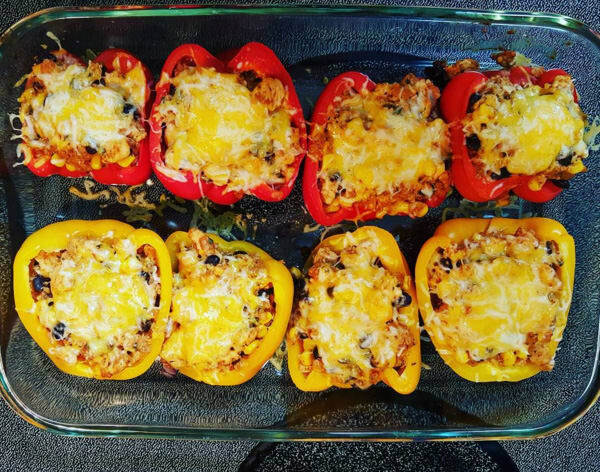 Be the envy of your coworkers at lunchtime with these stuffed bell peppers from the FIXATE cookbook. @coach_wes_gilbert made the filling with ground chicken, quinoa, black beans, corn, tomato sauce, cilantro, lime juice, and a bit of cheese. Get the cookbook. 7. A hearty bowl of chili never disappoints, especially when it’s loaded with aromatic veggies and lean protein. 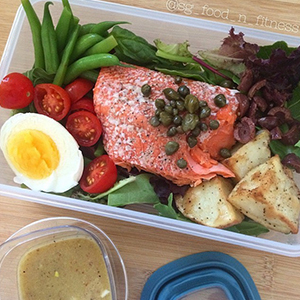 Delicious foods like this are helping @coachchristie730 stick to her nutrition goals. She made this chili from a recipe in the FIXATE cookbook. Don’t have the book yet? 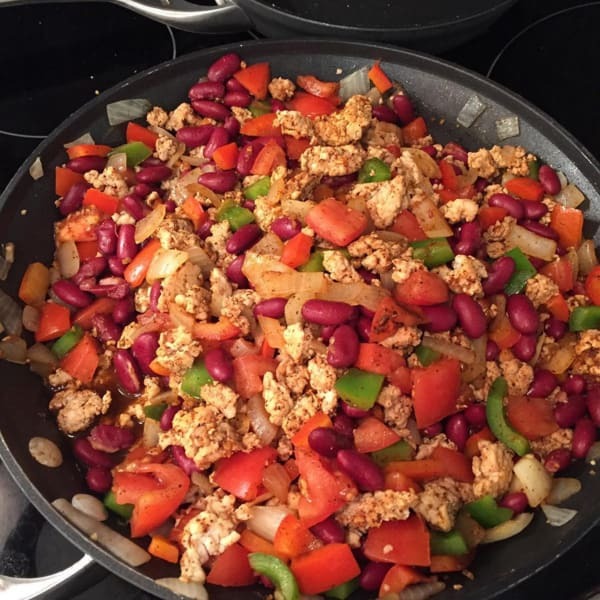 Try this Turkey Chili recipe or our vegetarian Black Bean Chili. 10. 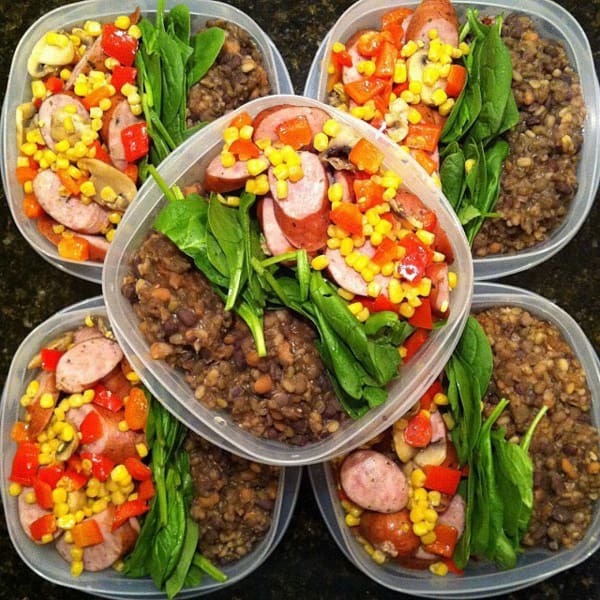 Prepared chicken or turkey sausages make meal prep easy because they are already cooked and just need to be heated. These from @trigg-ah are sliced and quickly sautéed with corn and red bell peppers. He packed them together with raw spinach, which doesn’t need pre-cooking because it wilts when heated in the microwave – a great time-saving tip for meal preppers. Look for all natural, low sodium sausages.